Since the Pirates of Chattahoochee began their annual fall series with Columbus State University in the fall of 2009, they have never walked away from Ragsdale Field without a win in their yearly double header. The streak was extended, as Chatt Valley won game 1 of the series 5-4 before the Cougs took complete control of game 2 with a 17-0 spanking. Game 1 was another classic battle as Casey Cobb got the start for CVCC. On short rest, Cobb was not his typically dominant self, but managed to hold the Cougar offense in check just enough to allow the offense to stay within striking distance. The Pirates had a hot start in the first and looked to take control early with a pair of singles by Brandon Hill and AJ Willoughby. However, a caught stealing ended the Pirates scoring threat. CSU went on top early as Cobb battled non-typical control issues, along with an errant pickoff throw that gave the Cougs a 1-0 lead on a sacrifice fly. A shutout inning in the second woke the Pirate offense up, as they plated 3 runs in the third to give Chatt a 3-1 lead. Zach Cable doubled to lead off the inning and advanced to 3rd on Isaac Phillips ground out. Jayson Cook got the Pirates on the board with an RBI single and promptly stole second base. With 2 out, Kurt Ornowski was hit by a pitch and Willoughby singled to give the Pirates a 2-1 lead. After a Cougar error that led to another run, CVCC grabbed Uncle Mo back headed into the bottom half of the frame. Unfortunately, the lead was short lived as a pair of walks and a pair of homeruns ended Cobb’s day, as CSU popped for 3 runs to take a temporary 4-3 lead. However, Sawyer Steele came on in relief and tossed 3 2/3 innings of no hit baseball and was completely overpowering, while striking out 4. The Pirates answered the bell immediately with some 2 out magic, as Cable reached on a HBP and scored on a Phillips RBI single to tie the game at 4. With Steele dealing, the Chatt Valley offense struck for the go ahead and eventual game winning run in the 6th, once again with 2 out and nobody on. After another Cable single, Phillips delivered a single that was mishandled, allowing pinch runner, Davis Schwartz to score and give the Pirates a 5-4 lead. Tyler Elkins entered in the 7th to close things out, but not before it got a little interesting. After surrendering a lead off HBP, Elk tossed 3 consecutive groundouts to close things out in a 5-4 win. Game 2 was a different story, as it was all CSU all game long. Starter Chandler Newman was ineffective in the zone, surrendering 5 walks in the inning along with only 1 hit. However, what could have been decent damage control to keep the game at only 2-0, a critical error extended the inning allowing the Cougs to take a 6-0 lead that they would never look back on. Parker Boyle was solid in his relief effort of Newman, tossing 3 complete innings, allowing 2 runs in the 3rd, all with 2 out and no one on to extend the lead to 8-0. Carson Hicks surrendered 2 more in the 4th inning as CSU strung together 3 hits, combined with an error to completely put the game out of reach at 10-0. The Pirate offense never got going to make a run at the Cougars. As 12 of the first 13 hitters where retired, with only a Carson Hughes single to break up the hitless game. However, CVCC attempted to rally in the 5th, as Austin Zeitler drew a leadoff walk and was followed by a Tre Kirklin single. 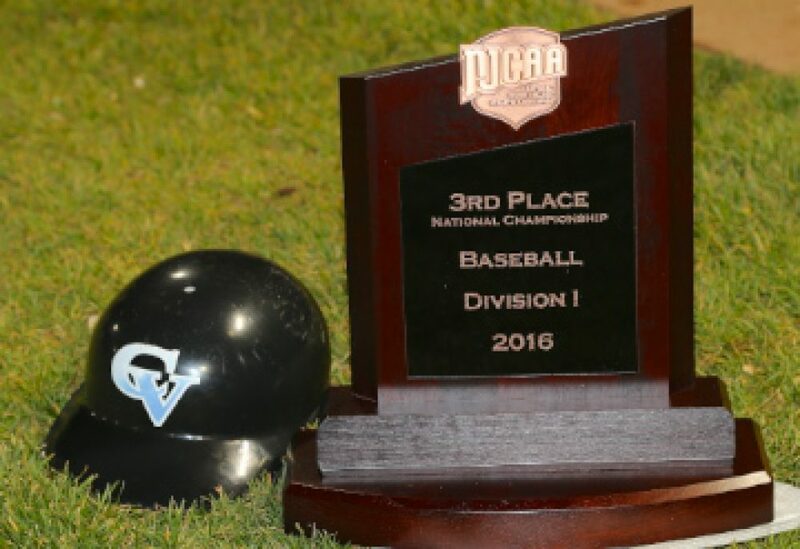 Unfortunately, the rally sizzled, as CVCC was unable to push anyone across. The Cougar offense really poured things on in the 5th, scoring 6 more runs, thanks in part to 2 massive homeruns. Alex Graulich tossed the final 4 outs and did a solid job, as he struck out 2 to end the game, a 17-0 thrashing after game 1’s big win. The split ran the Pirates record to 8-3-2 on the fall season with only one game to go, as they would head back to AUM to finish off the season with a single 9 inning game in Montgomery.